The Dalai Lama greets devotees at the Tsuglakhang temple in Dharmsala, India, in May 2018. Not a word I have often used in describing my experiences over nearly 45 years as a reporter. Most of what I have seen and done, especially in the world of politics, has had a harsh glare of reality – sometimes deadly serious; sometimes the kind of thing that you can only laugh about when you look back at it years later. Dreamlike, though – that doesn't happen. It happened on a brilliantly sunny Sunday morning in April 1994, on the pathways that wind their way through the campus of Berea College in southern Kentucky, in the foothills of Appalachia. On that gorgeous morning, nearly 25 years ago, I took a leisurely walk with the Dalai Lama. Tenzin Gyatso, the 14th Dalai Lama, believed by Tibetan Buddhists to be an incarnation of Avalokitesvara, the Buddha of Compassion in the Flesh. The spiritual leader of six million Tibetans, both in Tibet and in exile in India, where he has lived in Dharmasala, a tiny town in northern India since 1959 when the Chinese crushed an attempted uprising in Tibet and the CIA helped him cross over into India. For all the years since, he has wandered the globe, speaking out against the Chinese repression of his people and calling for the non-violent liberation of his homeland. His life's work earned him a Nobel Peace Prize in 1989. What I saw that morning was a kind, friendly man in wire-rimmed glasses and flowing purple robes, with a beaming, nearly perpetual smile and a deep laugh. How, I thought to myself, could I have come to this place and come so close to this good man? I was a reporter for the Cincinnati Enquirer at the time. I read a wire story about the Dalai Lama scheduling a visit to Berea College at the invitation of John Stephenson, then the college's president. Stephenson had established a Tibetan student scholarship program that, at the time, had attracted nine Tibetan students to the tiny liberal arts college – more than at any other college outside of India. The Dalai Lama came to thank his friend Stephenson. I was very excited when I heard that a very wise man – a man whom millions believe is the reincarnation of a near deity – would be just 120 miles away on Interstate 75. I made arrangements to cover the weekend event, and booked a motel room near the Interstate on the edge of town. 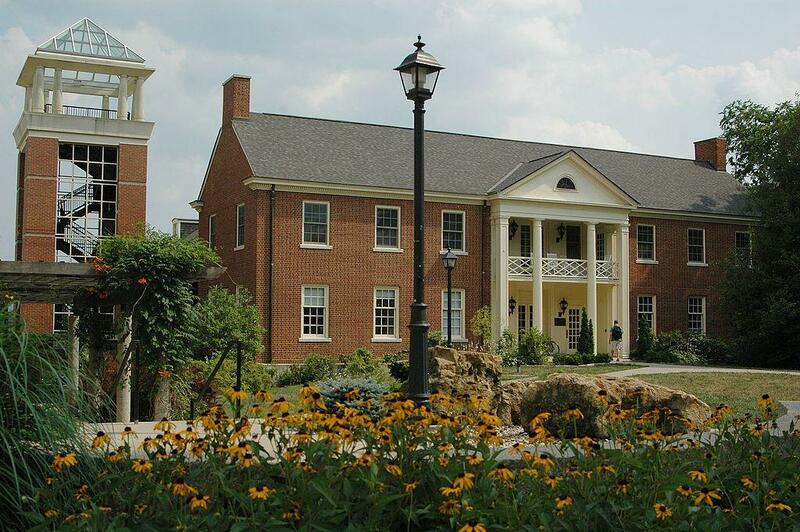 Berea was a familiar place to me; I had been there a number of times, dining in the historic Boone Tavern on campus and going to the annual bluegrass festival hosted by one of my favorite groups, the McLain Family Band, who call Berea their home. 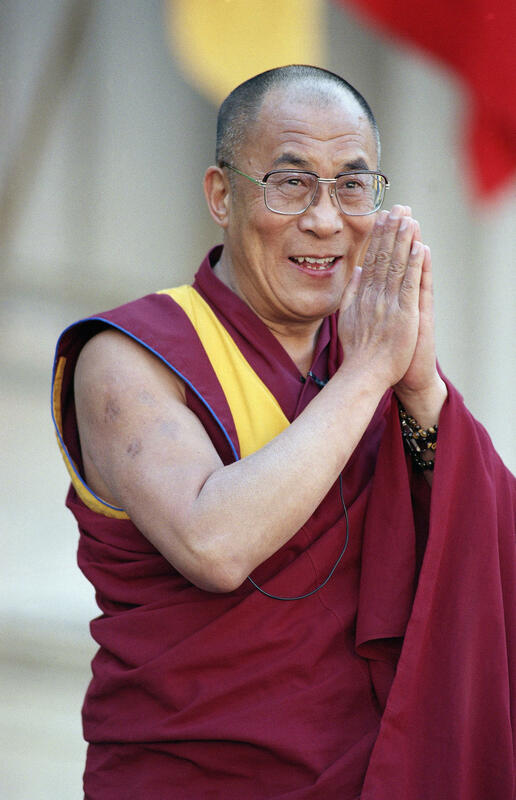 The Dalai Lama was 59 in the spring of 1994 – an energetic, almost athletic man, who seemed to have boundless energy, and walked at a brisk pace that made it hard for people half his age to keep up. The Dalai Lama in 1994. He had a heavy schedule for his Sunday and Monday visit to Kentucky. A morning press conference in the Boone Tavern, a meeting with the nine Tibetan students studying at Berea, and a Sunday night lecture at the college's Phelps Stokes Hall. On Monday, he would travel to the monastery of Gethsemani in nearby Nelson County, where Stephenson took him to visit the grave of a Christian religious writer and theologian the Dalai Lama much admired – Trappist monk Thomas Merton, who lived at Gethsemani. Merton died in Dec. 1968 while on a retreat in Thailand. That night, the Dalai Lama traveled to Louisville for private events at Bellarmine University. I had my personal encounter with him Sunday morning, after he walked the campus with school officials and some of the young monks who had accompanied him on the trip. He held a press conference at the Boone Tavern that was well attended with print and broadcast journalists from Kentucky, Tennessee and Ohio. He spoke mostly about the continuing struggle to liberate his people and what kind of help he thought he might be able to get from the administration of President Bill Clinton. "It has not always been easy to convince our American friends in Washington to stand up to the Chinese, but we are making progress,'' the Dalai Lama said. In fact, three years before he had had his first face-to-face meeting with an American president – George H.W. Bush. In 1993, he held his first of four meetings with Bush's successor, Clinton. The press conference wrapped up after about half an hour or 40 minutes. The Tibetan students gathered around their spiritual father, their faces beaming with smiles. I found myself in the middle of the group and I decided to try to continue the conversation. Your Holiness, I said, would you mind if I asked you a few more questions about relations with the American government? He peered over his glasses and, with a beaming smile, he beckoned me forward with his hand. Come, my friend, he said. Walk with me for a while. It's such a lovely day. He turned and walked out the back door of the Boone Tavern onto the campus green; the Kentucky police assigned to guard him scurried behind him. So, too, did the Tibetan students and the young monks in the saffron robes who were traveling with him. We walked along a cobblestone path and he asked me what it is I wanted to know. Your Holiness, you have been fighting the repression in Tibet for 36 years now, since you were a very young man, I said. Do you ever grow weary? No, friend….perhaps sometimes in the body, but not spiritually. This is what I am here to do. Peace will come to the world, my friend, when humankind looks within itself, each and every one of us, to the goodness and gentleness inside." But, I said, there have been no signs that the Chinese are willing to listen. The ultimate solution must come between the Tibetan and the Chinese, he said. Unless international pressure builds, it is very difficult to make the Chinese government change. That is why I am here. That is why I travel the world. Then, the Dalai Lama made me laugh out loud. And he laughed too. He was talking about his own personal attempts to negotiate with the Chinese government, which had gone nowhere. I sometimes think they are missing an organ here, he said, pointing to his skull. Dealing with a Bamboo Curtain is one thing. Having a Bamboo Curtain in the brain – that's worse! We stood for a moment under the shade of an oak tree and laughed. No matter what we face, my friend, we should have laughter in our hearts, the holy man said. And now, I must go. You have been a most interesting companion. You will come to the lecture tonight? I assured him I would. Good! You may just learn something! We laughed again. And I felt a peacefulness, a calmness, come over me unlike anything I have ever felt before. This is what he does, I thought to myself. He shares his peace with others. I was left standing there with one of the Tibetan students, a 20-year-old woman named Tashi Yangsom. You know, she said to me, meeting the spiritual and temporal leader of my people is a joy beyond words. I feel so lucky, so blessed just to touch his hand. I am at peace. Read more "Tales from the Trail" here. Before I go off on the Ohio General Assembly for the seemingly self-serving, politics-as-usual act of recently attaching an amendment giving themselves pay raises to a bill dealing with survivor benefits for fallen police officers and firefighters, let me make one thing clear. I do believe our state representatives and state senators deserve a raise.